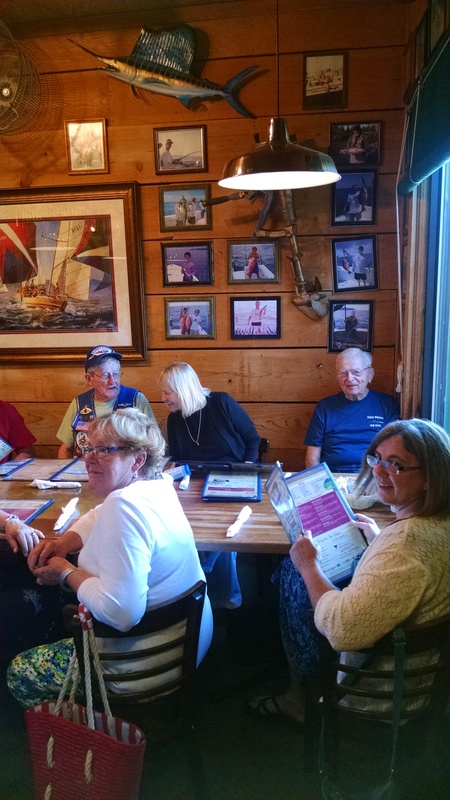 The 47th annual USS Drum (SS/AGSS-228) reunion was held Thursday, June 15th, 2017, through Saturday, June 17th, 2017. 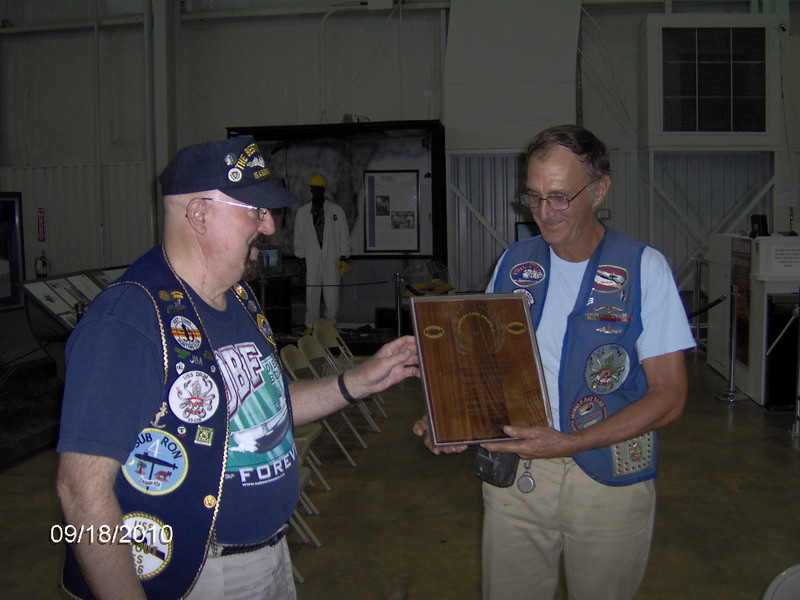 The memorial service was held in conjunction with the Mobile Bay Base USSVI June meeting inside the Aviation Pavilion inside Battleship Memorial Park. 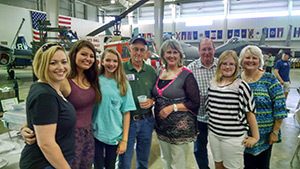 This year, two crew members, Willie Williamson and David Schmidt, and their families were able to attend the reunion. More photos are coming from this event! 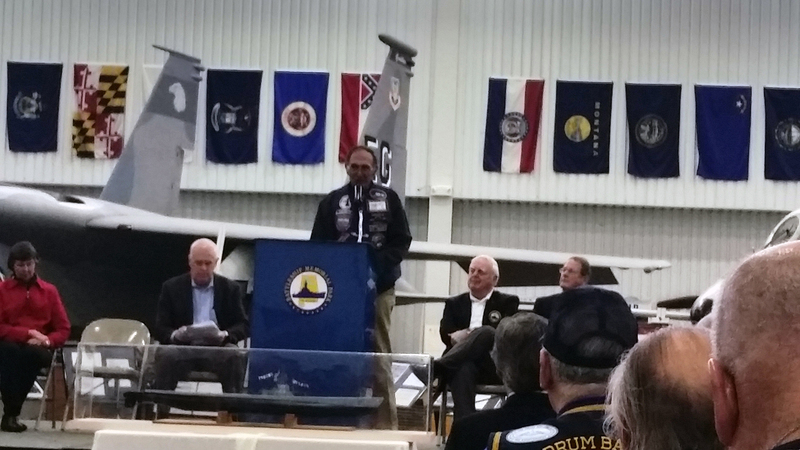 The 75th anniversary of the commissioning of the USS Drum was held in the Aviation Pavilion at Battleship Memorial Park at 11:00 AM on November 19th, 2016. There were around 150 people in attendance, including many submarine veterans. Tom Bowser gave an excellent overview history of the Drum. I was able to meet author Don Keith. The restoration crew had been working on the sail as well as the sandblasting and painting the bottom of the Drum in preparation for this event. View the entire news article about the above video here. 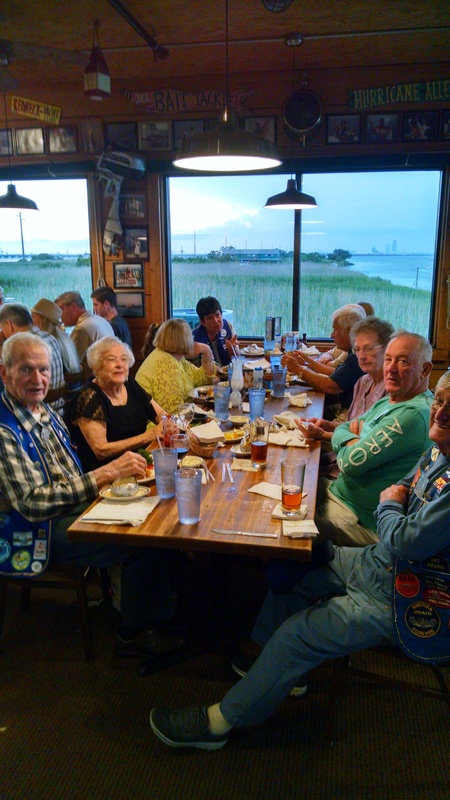 The 46th annual USS Drum (SS/AGSS-228) reunion was held Thursday, June 16th, 2016, through Saturday, June 18th, 2016. 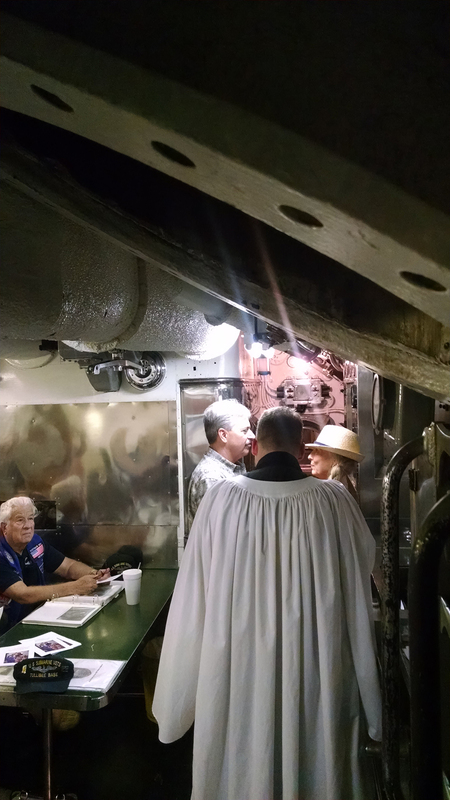 The memorial service was held in conjunction with the Mobile Bay Base USSVI June meeting inside the Aviation Pavilion inside Battleship Memorial Park at 11:30 AM. 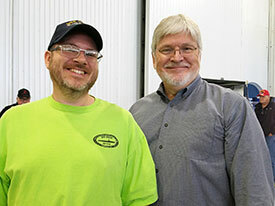 This year only two crew members, Willie Williamson and David Schmidt, and their families were able to attend the reunion. On Thursday, there was a wedding held aboard the Drum. The daughter of Donald (Swede) E. Kronholm was married in the crews mess with around 20 people in attendance. 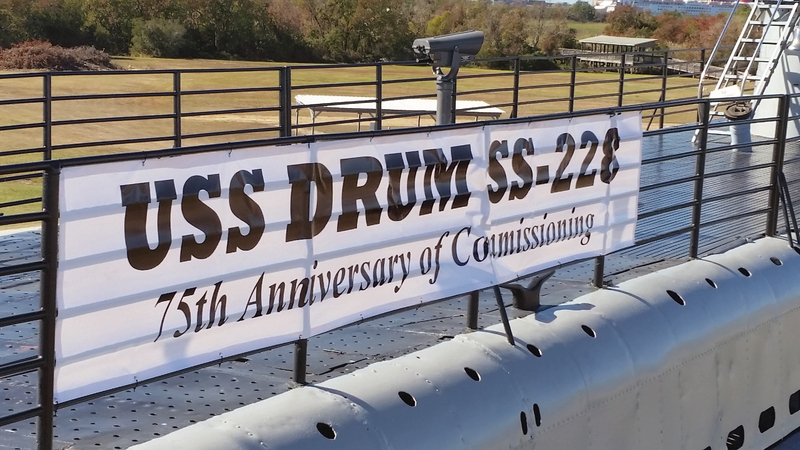 The 45th annual USS Drum (SS/AGSS-228) reunion was held Thursday, June 18th, 2015, through Saturday, June 20th, 2015. 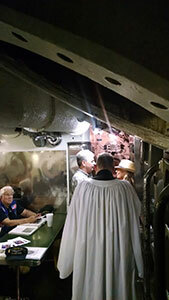 The memorial service was held in conjunction with the Mobile Bay Base USSVI June meeting inside the Aviation Pavilion inside Battleship Memorial Park at 11:30 AM. 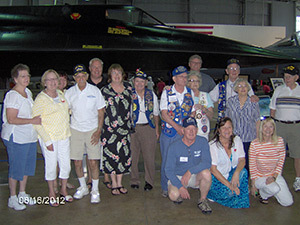 Four crew members (Willie Williamson, David Schmidt, Swede Kronholm, and Gainey Maxwell) and their families were able to attend the reunion this year. The 44th annual USS Drum (SS/AGSS-228) reunion was held Thursday, June 12th, 2014, through Saturday, June 14th, 2014. 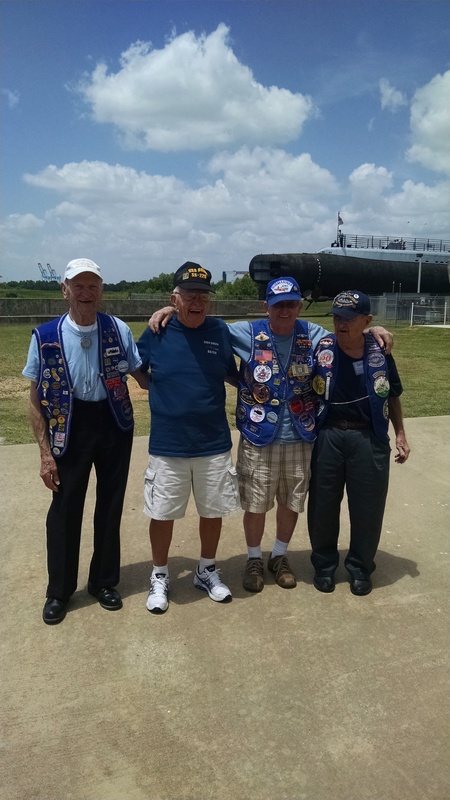 The memorial service was held in conjunction with the Mobile Bay Base USSVI June meeting inside the Aviation Pavilion inside Battleship Memorial Park at 11:30 AM. 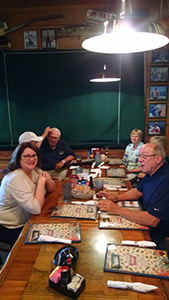 Five crew members and their families were able to attend the reunion this year. 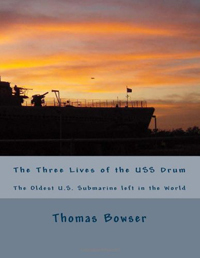 Tom Bowser has written a book on the USS Drum entitled "The Three Lives of the USS Drum" and it's available for purchase on Amazon.com. On August 8, 2013, an article was shared about the release of this book entitled "Stories from the deep: USS Drum's service, restoration detailed in new book." 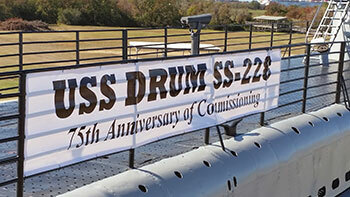 The 43rd annual USS Drum (SS/AGSS-228) reunion was held Thursday, June 13th, 2013, through Saturday, June 15th, 2013. The memorial service was held in conjunction with the Mobile Bay Base USSVI June meeting inside the Aviation Pavilion inside Battleship Memorial Park at 11 AM. 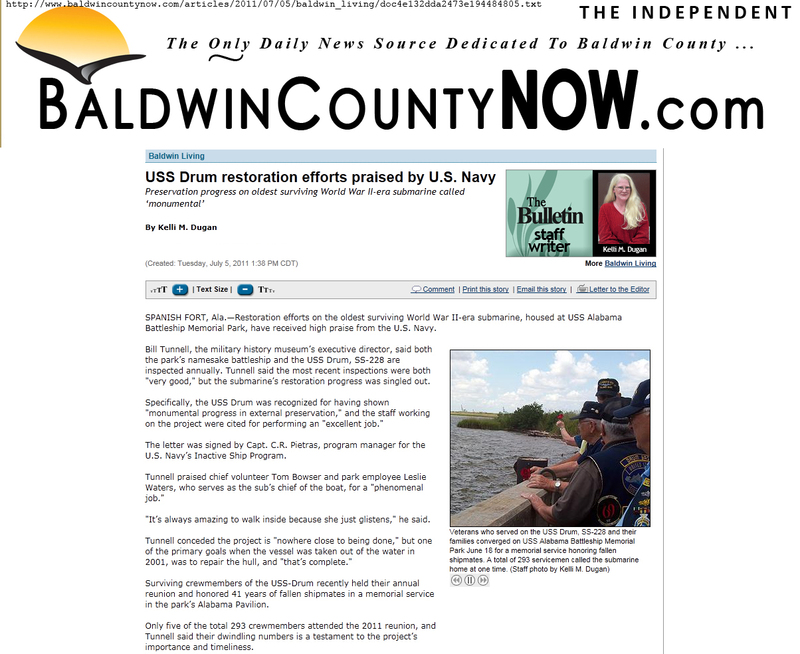 "Lead recycling nets more than $140,000 for USS Drum restoration" by Michael Dumas - make sure to read the new article here. 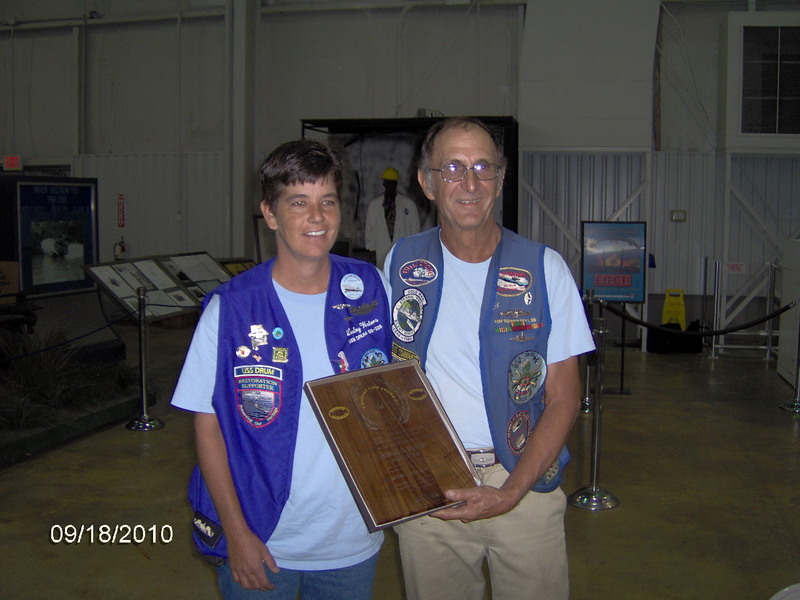 Tom and Lesley have removed over 130 tons of lead ballast that was sold (with NAVSEA permission) to raise money for restoration. Video included in the article. 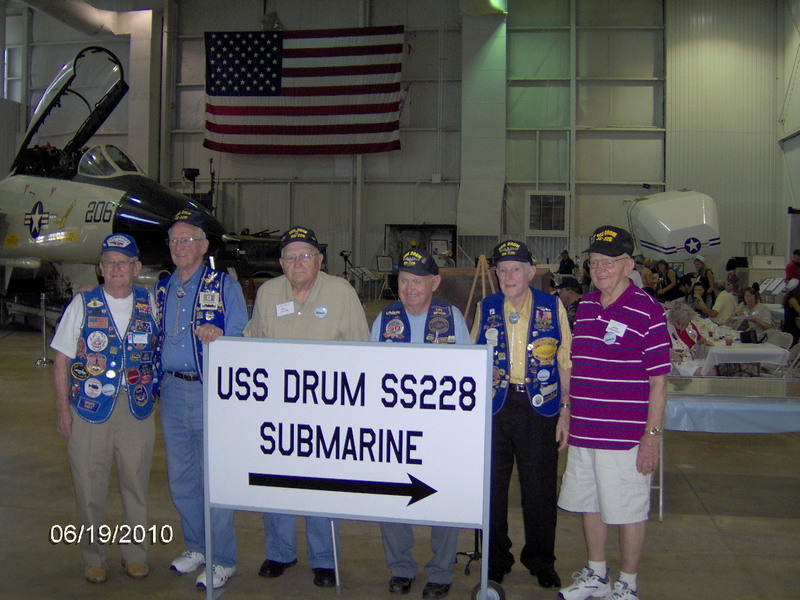 The 42nd annual USS Drum (SS/AGSS-228) reunion was held Wednesday, June 13th, 2012, through Saturday, June 16th, 2012. The Memorial Service was held on Saturday, June 16th in the Aviation Pavilion inside Battleship Memorial Park at 11 AM. Five of the crew and some family members were able to attend the reunion this year. 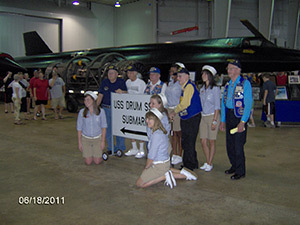 On Tuesday, July 5, 2011, the restoration of the USS Drum was praised by both the U.S. Navy and the executive director of Battleship Memorial Park. Read the article on the BaldwinCountyNOW.com website. Way to go everyone! 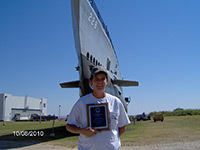 On Sunday, June 19, 2011, Tom Bowser and the USS Drum was featured on Fox 10 news. The story tells of the hard work and dedication of Tom and Lesley to get the Drum back into shape. Thanks to Fox 10 and Andrew Perez for the coverage! 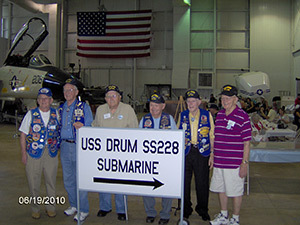 The 41st annual USS Drum (SS/AGSS-228) reunion was held Wednesday, June 15th, 2011, through Saturday, June 18th, 2011. 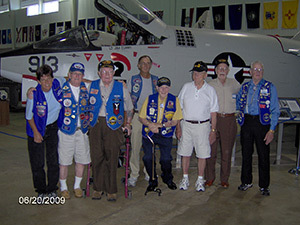 The Memorial Service was held on Saturday, June 18th in the Aviation Pavilion inside Battleship Memorial Park at 11 AM. Only 5 of the crew were able to attend the reunion this year. USS Drum was featured in the Mobile Press-Register. 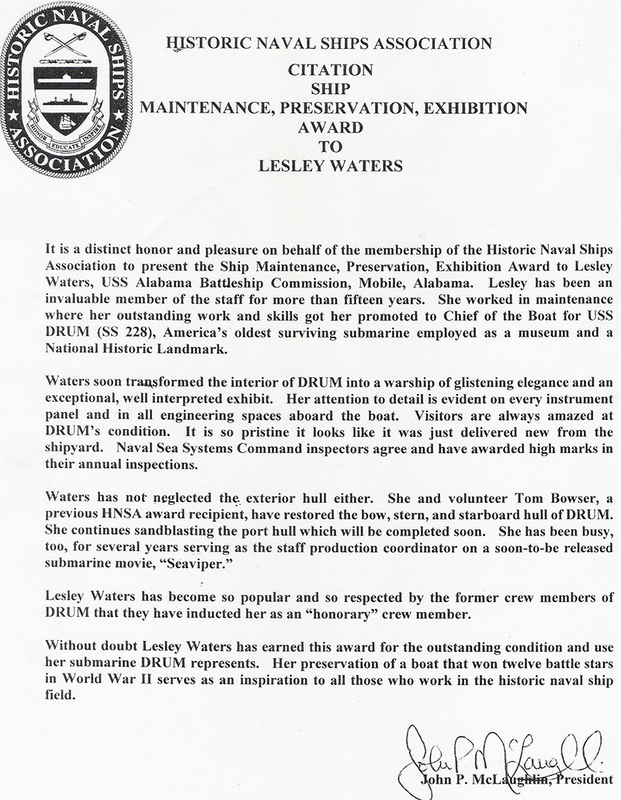 The article and video covers Tom and Lesley's struggles throughout the 12 years, why it's a labor of love, and the importance of keeping such an incredible museum submarine around. 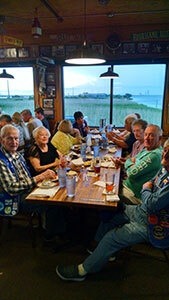 There was also a Mobile Press-Register article about the 2011 Drum Reunion. Make sure to watch the videos above entitled "Restoring the Drum, Part 1: Saving a submarine" and "Restoring the Drum, Part 2: Touring the submarine". 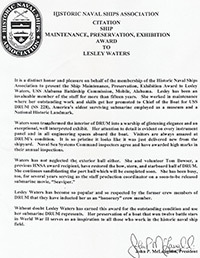 Lesley Waters was recently awarded a 2010 Historic Naval Ship Maintenance/Preservation/Exhibition Award. 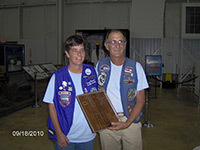 According to the Historic Naval Ships Association (HNSA) website: "This award is for a Fleet Member staff or volunteer person who has provided exemplary work on a daily or part time toward the long term maintenance and preservation of a historic naval vessel and/or toward the proper exhibition of that vessel to the general public. Each nomination must be submitted by or endorsed by the manager or director of said vessel." Congratulations Lesley! On Saturday, September 18, 2010, Thomas M. Bowser received a 2010 Robert Link Award. 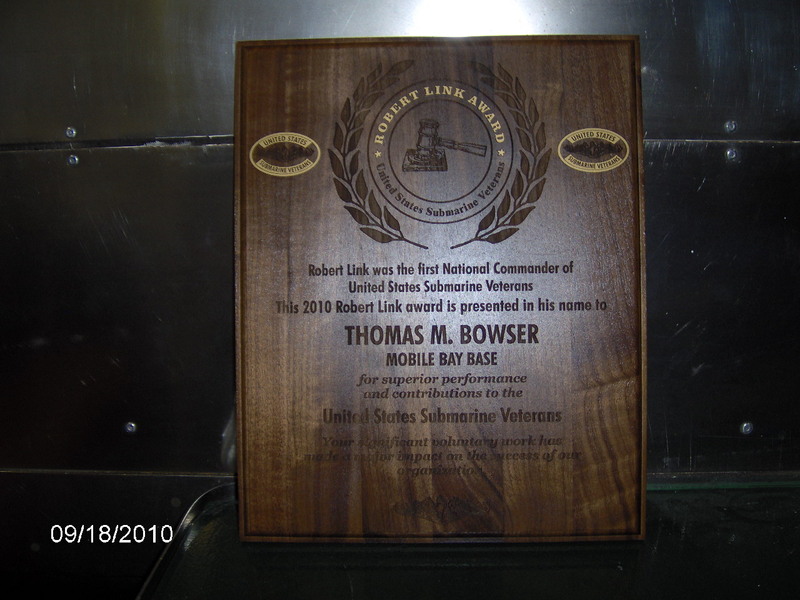 Each recipient of the Robert Link Award is personally chosen by the United States Submarine Veterans, Inc. (USSVI) National Commander from within the ranks of the USSVI membership. This is quite an accomplishment. Congratulations to you, Tom! In the first photo, Tom is being presented the award by the District Commander, Jim Moorehouse. In the second photo, Tom is standing with Lesley Waters. The third photo is a close-up view of the award. 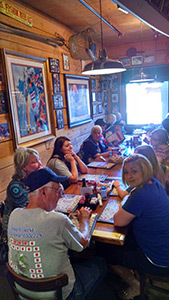 Click on any of the photos to see the full resolution photo. 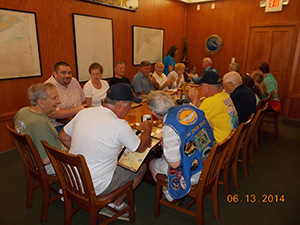 The 2010 USS Drum (SS/AGSS-228) reunion was held Wednesday, June 16th through Saturday, June 19th at the Hampton Inn Mobile-East Bay/Daphne. 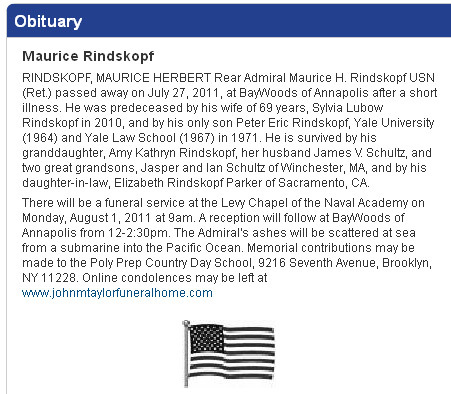 The Memorial Service was held on Saturday, June 20th at 11 AM in the Aircraft Pavilion at Battleship Memorial Park. This year was very special as this was the 40th Drum reunion. Seven crew members attended. 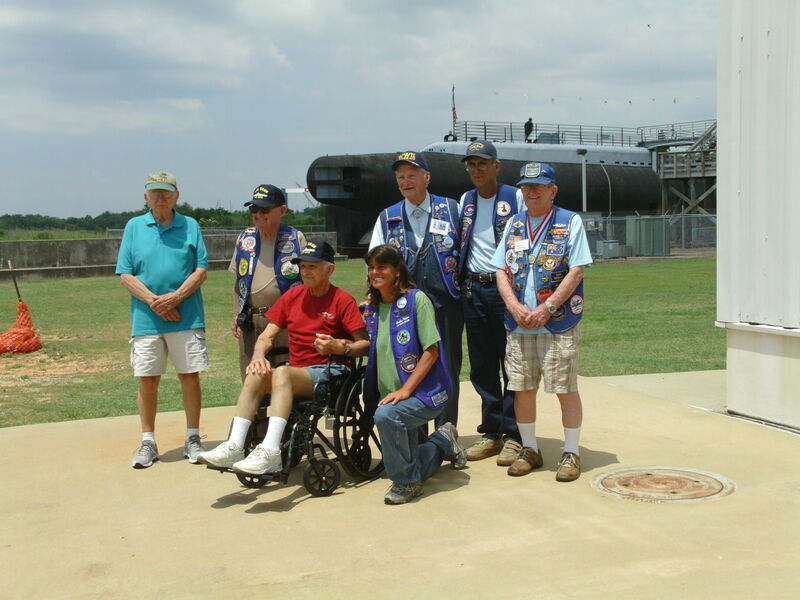 Pictured in the photo left to right: Willie Williamson (TM1c) Patrols 3-13, David Schmidt (Bkr3c) Patrols 12- decommissioning, Bill Lister (RM2c) Patrols 9-13, Gainey Maxwell (GM3c) Hunters Point to decommissioning, Bob White (MoMM1c) Patrols 2-12, Swede Kronholm (TM) (I think) Patrols 8-12. 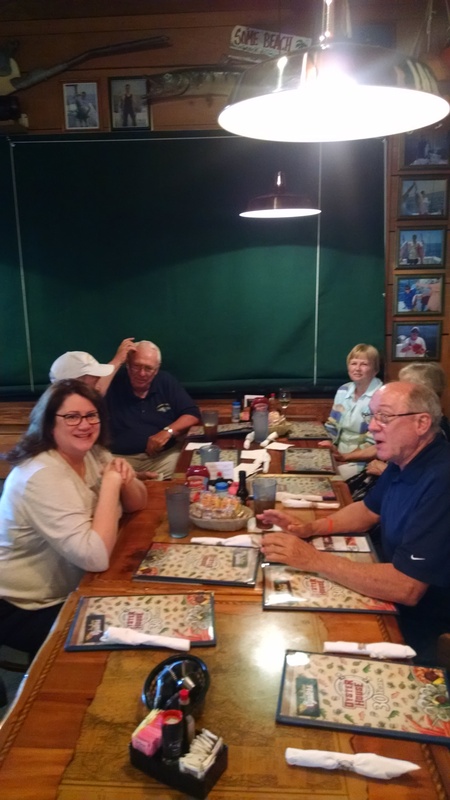 The 2009 USS Drum (SS/AGSS-228) reunion was held Wednesday, June 17th through Saturday, June 20th at the Hampton Inn Mobile-East Bay/Daphne. 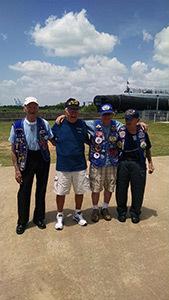 The Memorial Service was held on Saturday, June 20th at 11 AM in the Aircraft Pavilion at Battleship Memorial Park. Seven crew members attended. 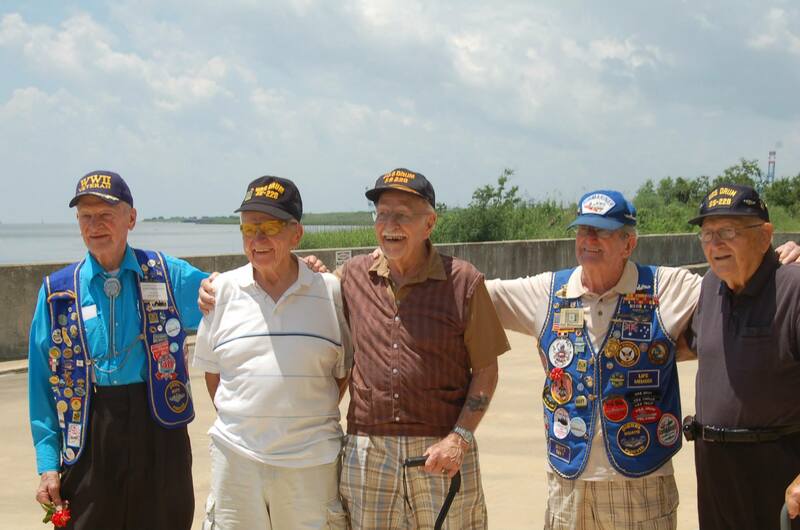 We are blessed to have these heroes of WWII still in our presence. The video to your right entitled "Facelift for the Drum" was featured on Mobile's WKRG CBS 5 News on April 26, 2010 by Bill Riales. 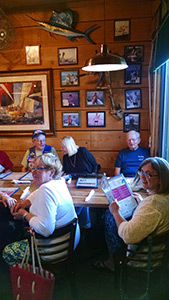 Tom Bowser and Lesley Waters were able to show off some of their work as well as what is still to be done. Thank you, Tom and Lesley, for everything you have done and are still doing. And thank you WKRG and Bill Riales for covering this story. USS Drum will be featured in the upcoming Villani Rockill Productions/Mighty Moments Motion Pictures fictional film entitled "USS Seaviper". Ralph Villani is the director, producer, and co-writer. His father, P.J. Villani, served on the Drum in WWII for what would have been the 14th war patrol. 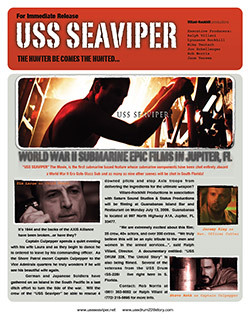 Click on the image to the right to view a .pdf file of a recent press release about the "USS Seaviper" movie. Thank you JW FLV Media Player. The two minute video to your left was featured on Mobile's WPMI NBC 15 News on March 25, 2009 as a "Here's Darwin!" (Darwin Singleton) report. 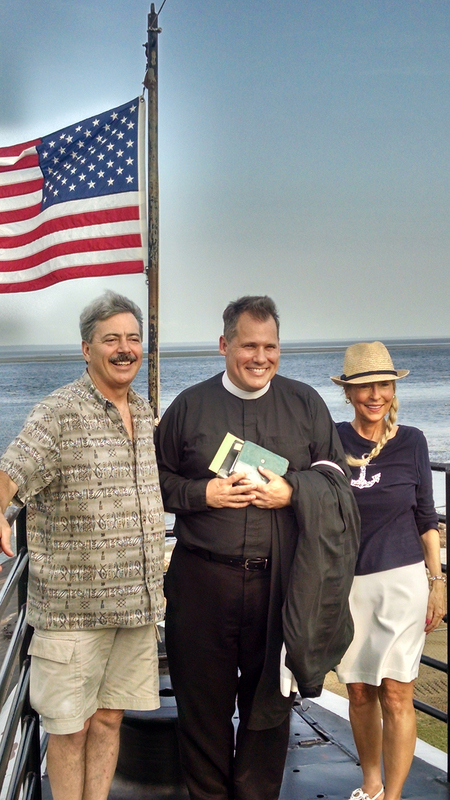 Lesley Waters and Tom Bowser talk with Darwin about the forthcoming "USS Seaviper" movie. Please ignore the misspelling of Lesley's name and the news anchor at the end who cites the incorrect war that Drum took part in. The same film crew is also working on a documentary all about the Drum entitled "The Untold Story". It is expected to be released sometime in 2010, with partial proceeds going towards the restoration of the Drum.